Ever since I saw Quiz Show, my first Robert Redford movie, I have been a fan. Every one of the films that he so carefully chooses to direct has a sense of urgency and painstaking attention to detail. He also lets his actors do their thing. His movies are more realistic than most directors, almost in a Norman Jewison type of way (another one of my favorites). He is not a showy director. He has no real recognizable style or look, which makes his consistent greatness even more astonishing. Within the last few weeks, I have finally completed his directorial filmography, so I thought it would be a good time to rank/rate his films. Plus, today is his birthday. Check it out! This is the only one of his films that doesn’t completely work. It is lighter than it should have been. It is essentially a Promised Land-type movie, but without the underlying serious tone throughout the movie. The technical aspects are great, as is the inspirational final act, but overall it falls just short. His sophomore slump did not last long, though. He clearly learned from this misstep, seeing how his peak came with his next three films. 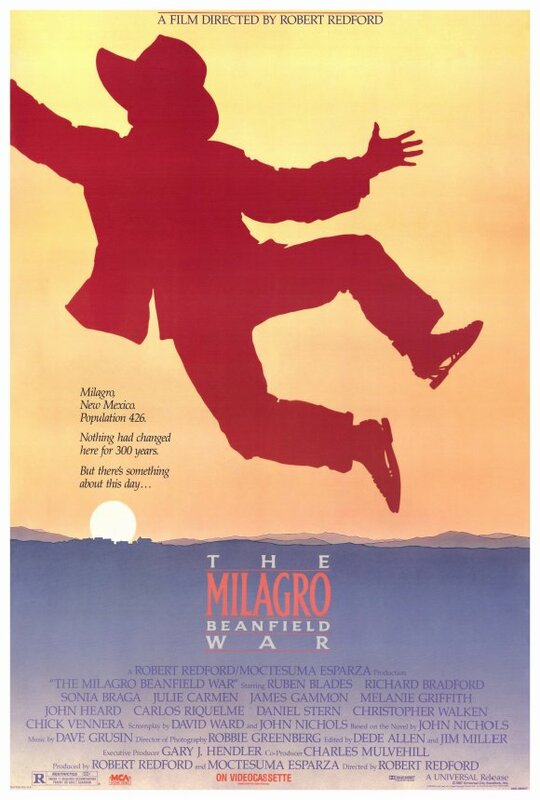 This is exactly the type of movie that makes Redford as great as he is. Under lesser hands, this would have been a corny and sappy sports movie. With the beauty of his direction and the subtlety of the performances, the film becomes a Field of Dreams-level fantasy films with a great emotional impact. It is a beautiful little movie that got an unfair poor reception when it came out. This is a totally solid, richly detailed journalism thriller. There are a few points where the film loses its way, but that is the case in every movie of this kind outside of All the President’s Men. It is smart thriller, as well as a very realistic one. The film may not be the deepest or most significant of Redford’s works, but it is an entertaining and intelligent film with one of the most impressive casts assembled in years. I do not know of a single person who appreciated this movie as much as I do, but I really think this is a brilliant movie. Sure, the film had high expectations, but I never understood why everyone was so disappointed. The overly talky style is all that the film promised, and it delivered some of the deepest conversations I have had the pleasure of experiencing in a movie. Redford clearly saw something in the young Andrew Garfield, making his screen debut with arguably his most memorable performance playing opposite Redford himself. The other two sections are not quite as good, but they have their moments. The film is essentially in real time, which only heightens the urgency. This is tense stuff. It is too bad that no one else saw that. 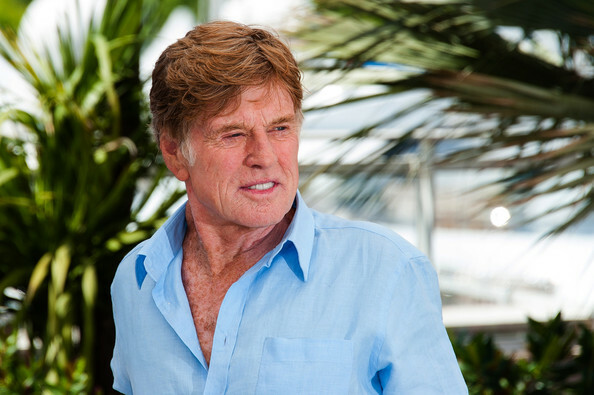 Robert Redford’s critical favorite is one of the more interesting Oscar Best Picture winners. 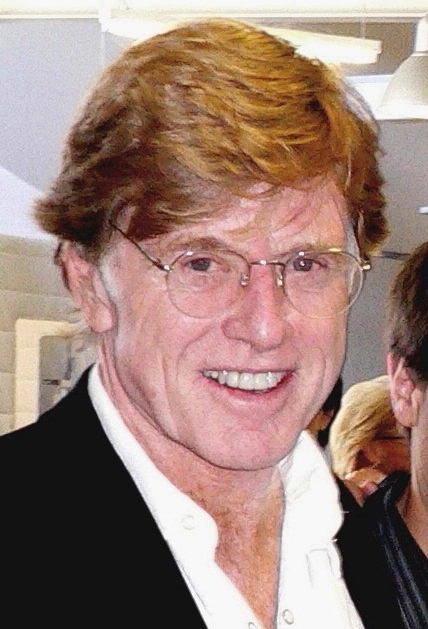 It was Redford’s directorial debut. It is also a domestic family drama, not exactly the most Oscar-friendly material. The way the film has gained its reputation is through its expert storytelling. Every one of the characters is completely fleshed-out and authentic. The movie has a deep and impactful final act. There really are not too many movies out there quite like this. It is a case of a talented actor who was clearly paying close attention to his directors and using the best parts of each of them in his mini-masterpiece debut. This is certainly Redford’s most surprising movie. It is here where I realized that he may be the best working director at pulling greatness out of younger actors. Scarlett Johansson gives her best work ever in this film. The movie is a big, long, gorgeous western of sorts that has a very strong emotional impact as well as eloquent style. It is his most family-friendly movie, and arguably his most widely appealing. Each time I revisit this movie, I just sit there in awe of the landscapes and in the raw beauty and emotional resonance of a film by a director fully in his element. 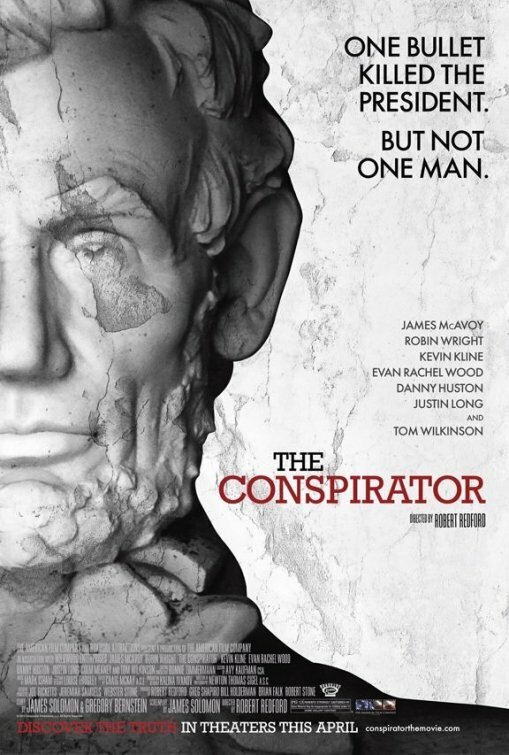 I get it: there have been countless films made about Lincoln and his death. However, this has got to be one of the most intriguing takes on the period that I have come across. The film is certainly a political movie, but it is also a To Kill a Mockingbird- type courageous courtroom drama. It has a dynamite cast and a razor sharp script. The artistic and technical aspects of the film are as good as any Redford has done. The film plays like a thriller, but it actually has a very human drama at its core. 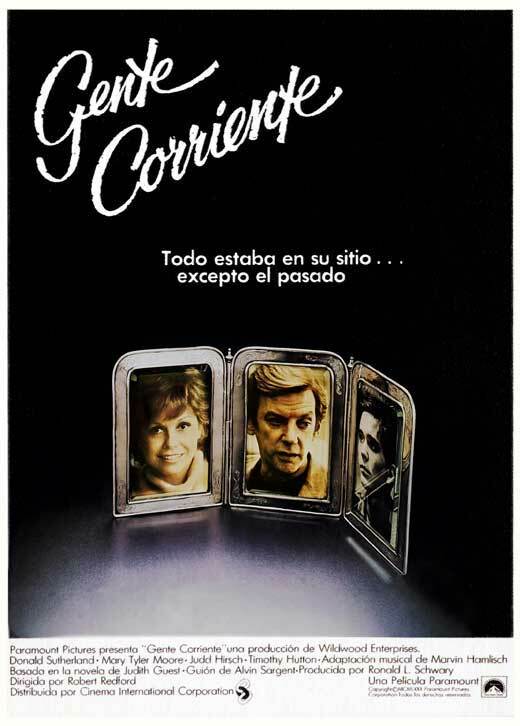 It is a blistering experience and probably the most haunting film of Redford’s canon. This is Robert Redford’s masterwork. It is one of the most nostalgic movies ever made. It is one of the most beautiful and unique movies made about teenagers. It has a few shots that will be forever engrained in my head. The score is fantastic. The performances are subtle and true. The direction is the most assured and professional that Redford ever accomplished. There is nothing like this movie anywhere. It is inspiring, sensitive, richly detailed, and always deep and cautiously devastating. It is one of the best films of the 90s and the main reason why Redford is one of my favorite directors. Thoughts? Comments? Anyone else a big fan of his directions? Is he the best actor-turned-director? Who else is excited for his next film, A Walk in the Woods, written by Michael Arndt? Sounds like a winner to me! Hit me up in the comments. Every major fan base in sports likes to think of themselves as unlucky. Some fan bases, such as the Minnesota Vikings and the Cleveland Browns, have much more legitimacy when making this argument than, say, fans of the Yankees or the Heat (the closest things to heartbreak either of those franchises have experienced were the 2004 ALCS and the 2005 Eastern Conference Finals, respectively; don’t fret though, they’ve won championships in the meantime). I think it’s easier to be “unlucky” in pro football than in the other major sports for a number of reasons. First, individual injuries are more costly in football given the degree of specialty for each position and difficulty of replacement (as well as the fact that typically 25-30 players participate in a given game, meaning that the possibility of injury is much higher). Second, unlike in baseball and basketball, NFL teams do not play every other team over the course of a season; therefore, it is possible for a team such as the 2010 Chiefs to get lucky, play in an easy division, and beat only one team with double-digit wins all season. In contrast, teams such as the 2010 Bills (see #3 on this list) could get the short end of the stick schedule-wise through no real fault of their own. Finally, it is more difficult to make the playoffs in the NFL. Only 12 teams out of 32 – 37.5 percent – do so, which is lower than the NBA and NHL, each at 53.3 percent. And although only one-third of all MLB teams earn playoff berths, MLB clubs have 162 games at their disposal to make a postseason run; NFL teams have less than one-tenth of that. In other words, the result of one NFL game has more significance than ten MLB games. Similarly, it is not uncommon to see a 10-win NFL team (with a winning percentage of .625) miss the postseason because of unusually high competition at the top of the standings. An MLB team would have to win over 101 games to surpass a .625 winning percentage, and not since the infamous 1993 Giants, winners of 103 games, has an MLB team missed the playoffs with that amount of victories. The following list counts down the top ten unluckiest NFL teams since the league adopted a 16-game schedule in 1978. “Unluckiness” is weighed on a 1-10 scale in the three categories roughly mirroring what I described above: Injuries, schedule, and competitiveness at the top of the standings. In addition, it is important to weigh context as an additional component of unluckiness. Sure, the 2010 Giants were a 10-win team that finished in the top seven in both offense and defense and missed the playoffs thanks to DeSean Jackson – but can we really call this bad luck when the next season New York won the Super Bowl with only 9 regular season wins? Vikings and Browns fans, nod your heads and say it with me: It’s not bad luck when your team wins the championship in the next few seasons (the 1991 49ers and 2002 Patriots also miss the list for that reason). Like I said at the beginning, every fan base can look back and point to specific moments where their team could not get a break – but the sad reality for sports fans is, that is true for all fan bases. Well, except the Steelers. Honorable Mention: 2005 New England Patriots, 2006 New England Patriots, 2007 New England Patriots, 2010 New England Patriots, 2012 New England Patriots, probably the 2013 New England Patriots. Honorable Mention (for reals): 1979 Washington Redskins, 1988 New Orleans Saints, 1989 Cincinnati Bengals, 1999 New York Jets, 2010 San Diego Chargers. For most of the 1980s in SanDiego, fans wondered when the Chargers would finally spend time recruiting quality defensive players. Fans ogled at the possibilities of how dominant Air Coryell and Dan Fouts could be saddled alongside a good defense. That year finally arrived in 1989, when the Bolts finished in the top ten in defense for the first time in ten seasons. Behind the fearsome pass rush of Lee Williams and Burt Grossman, San Diego led the AFC in sacks and finished second in the AFC in interceptions. After Week Two, the Chargers did not allow a single opponent to score over 20 points. Sadly, however, Dan Fouts had retired two years too soon and the Chargers QB situation was a mess, with Jim McMahon getting benched and Billy Joe Tolliver completing under 50 percent of his passes. Even worse, RB Gary Anderson, a breakout player with over 1,100 yards in 1988, was a holdout all season. But most devastating of all was the Chargers’ performance in close games, becoming only the second team in NFL history to lose nine games by seven points or fewer (no team has ever lost ten games). They actually played well against quality opponents – five of their six victories came against teams finishing .500 or above – but the offense could never sustain a consistent threat. Only one player, Pro Bowl receiver Anthony Miller, had more than 31 catches. Fortunately for San Diego, they would recover . . . to make another appearance on this list. If this list was based purely on an “eyesight” test, the 2003 Buccaneers would probably be the #1 most unlucky team ever. I remember this team. I remember that they pretty much returned everyone from Tampa Bay’s Super Bowl team one year earlier (minus Super Bowl 37 MVP Dexter Jackson). I remember that week after week, the Bucs couldn’t pull it out in close games – to an almost laughable extent. It was the first time they had missed the playoffs since 1998. Things started out great Week 1, when they destroyed their NFC foe Eagles 17-0 in Philadelphia in front of Sylvester Stallone and a national audience. But after that, the pirate ship began to sink. Martin Gramatica missed an extra point (his only miss of the season) that would have given them a 10-9 win over Carolina; instead, they lost 12-9 in OT. They led the Colts 35-14 with five minutes left to go; instead, Peyton Manning became the first quarterback ever to lead his team from 21 downwith under five minutes left. They gave up game-winning drives to Aaron Brooks and Brett Favre, and couldn’t convert a two-point conversion to send the Falcons to overtime. Time after time, the Buccaneers fell apart in the fourth quarter in spite of an offense that improved statistically from the year before and a defense that still ranked fourth in the league (and first in rushing TD allowed). Injuries to Mike Alstott, Brian Kelly, and Greg Spires wreaked havoc, and Keyshawn Johnson’s tension with the coaching staff led to the team trading him to the Cowboys. But as much as you can blame the 2003 season on dysfunction and injuries, the fact still remains that the Buccaneers were an extremely talented team that got the poor end of the stick. Like the Buccaneers, the Panthers followed their Super Bowl season with a disappointing 7-9 campaign that left lots of fans scratching their heads. But unlike the Buccaneers, who had only mild to moderate injuries, Carolina head coaches would have been wise to permanently leave gurneys on the field each week. This was a team completely decimated by injuries, early and often: Stephen Davis, DeShaun Foster, Steve Smith, Kris Jenkins, Rod Smart, and even K John Kasay, to name a few. After a 1-7 start (featuring five straight losses to playoff teams), an undrafted RB named Nick Goings stepped up and resurrected a depleted running game. Then, the JakeDelhomme-to-Muhsin Muhammad connection began to heat up, and suddenly the offense was resurrected, averaging over 28 points per game in the season’s second half. The defense answered, and ended up leading the NFL in interceptions. The Panthers won five straight, but fell short of a winning season with a pair of hard-fought three point losses to the Falcons and Saints. One more victory would have given Carolina a playoff berth (in 2004, the 8-8 Rams and 8-8 Vikings made the playoffs and each won a game). Given that the ’04 Panthers were wedged between two talented, healthy Carolina teams that made NFC Championship appearances, bitter fans were left wondering what could have been had all the injuries been less severe. The 1985 Broncos became the first team in NFL history (but not the last) to win 11 games and miss the playoffs. They remain the only team ever to have the unusual distinction that, had they won one more game, not only would they have clinched the playoffs, but the Broncos would have been the 1 seed. Denver sealed this fate by losing two crucial overtime games to the Raiders (who finished 12-4) in a span of three weeks in early December. Still, it was an immensely successful season by any standard, which may have made the lack of postseason all the more painful for Broncos fans. John Elway had his finest season up to that point, compensating for a lack of consistent running game. In spite of the 11 victories, the Broncos lost out on the playoffs due to tiebreakers against the Jets (who didn’t win a playoff game) and the Patriots (who marched through the AFC before being destroyed by the Bears in the Super Bowl). In a cruel twist of fate, the Broncos did not get an opportunity to break those tiebreakers by playing either of those teams during the regular season, thus being perhaps the only team on this list to suffer because of a schedule which was too easy. I can understand Broncos fans who would want to see this time higher on the list – I mean, 11-5 and no playoffs? – but let’s remember, the Broncos would make three Super Bowls in the next five years (with considerable good luck throughout), John Elway would finish his career with two rings, and even had the ’85 Broncos made the playoffs, they still would have been no match for the Monsters of the Midway. The 1993 Dolphins are remembered as the only team in NFL history to begin a season 9-2 and somehow miss the postseason. There is a tendency to conflate self-destruction and bad luck, but in the case of Miami, both were readily apparent. In the season where Don Shula won his 300th game and became the all-time winningest NFL coach, the Dolphins looked in Super Bowl form in mid-season, with Dan Marino enjoying a superb season. In Week 5, however, Marino tore his Achilles’ tendon and was gone for the remainder of the season. His replacement, Scott Mitchell, played equally well, earning the NFL’s Player of the Month for October. But then he was injured, and the Dolphins were forced to turn to 39-year-old Steve DeBerg to throw the ball to newly acquired $4.2 million receiver Irving Fryar. With a 9-2 record entering December, all Miami needed was one win to clinch a playoff berth. Instead, they promptly lost three straight home games, gave up 45 points to a Chargers team which had 10 games where they scored under 18 points. All they needed to do was beat the 4-11 Patriots, and Scott Mitchell was returning. Inevitably, they lost the game in OT. In spite of the QB injuries, the Dolphins still led the league in passing yards and finished second in total offense. Before Thanksgiving, they hadn’t turned the ball over more than twice in a single game; beginning Thanksgiving, they had five games of 3 or more turnovers. What makes the 1993 Dolphins victims of bad luck more than simply a collapse was that 1993 was the only season where Marino missed significant playing time due to injury. It was also one of only three years in the 1990s where Miami missed the playoffs and the only such year where they had a winning record. The other day I read a stat about the 2012 Lions that was mind-boggling: Calvin Johnson had six catches where he was tackled at the 1 yard line. That would explain Johnson’s 1,964 receiving yards . . . and only five touchdowns. 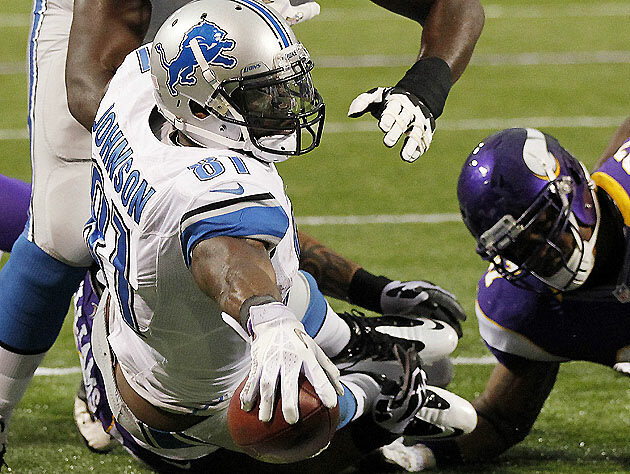 That, in a nutshell, describes the 2012 Lions season. Detroit actually gained more total yards and allowed fewer yards than they had in their 10-win 2011 campaign; but close games was another story. Where they had gone 5-3 in close games the year before, that number fell to a horrible 3-8 in 2012. Among the most humiliating losses included a 44-41 loss to the Titans where Jim Schwartz opted to go for a fourth down instead of kicking a makeable game-tying field goal; a loss to the Bears where the mighty Lions offense couldn’t muster a single point in the game’s first 59 minutes; and a 12-point lead with under 3 minutes left blown to Andrew Luck on the game’s final play. Detroit outgained opponents in total yards in 12 of its 16 games, but injuries and turnovers wreaked havoc. In addition, the Lions faced 11 opponents with 10+ wins, including one stretch of five straight games against playoff teams. I have not found any team in NFL history that played 11 or more such games. Is this enough evidence to suggest the Lions should be vastly improved in 2013 if four or five of those close games swing the other way? I think so, especially if Fairley can stay health and a permanent running game can be established. Coming off a 2004 campaign in which they were the league’s Cinderella, the Chargers had the league’s toughest schedule in 2005, playing 11 games against teams with winning records. Unlike many teams on this list, however, the Chargers played exceptionally well against the league’s best teams. They annihilated the defending champion Patriots by a score of 41-17 (!) in Foxboro. They beat Eli Manning and the NFC East champion Giants by 22. They went on the road to Indianapolis and handed the 13-0 Colts their first loss of the season. Drew Brees, LaDanian Tomlinson, and Antonio Gates were in the primes of their careers (ages 26, 26, and 25, respectively) and rookie LB Shawne Merriman won Defensive Rookie of the Year. It was a different story, however, when it came to close games. In their first five losses of the year, the average margin of defeat was 2.8 points. Heading into their final two games with a 9-5 record and playoff berth on the line (along with the 9-5 Steelers), Drew Brees promptly tore his rotator cuff, never played as a Charger again, and San Diego fell to the 10-win Chiefs and 13-win Broncos. That year, the Steelers got the 6 seed and won the Super Bowl, leaving long-suffering San Diego fans wondering what could have been had a healthy Brees and Tomlinson earned that 6 seed instead. Even worse, Brees fully recovered from the rotator cuff – only after the Chargers released him to the Saints, where he won Comeback Player of the Year in 2006 and a Super Bowl ring in 2009. Ouch. Yes, this was the same infamous team that couldn’t protect a 32-point lead at Buffalo. But for Houston fans with long memories, there was even more pain and bitterness associated with this squad long before the words “Frank Reich” were ever muttered. The Oilers were arguably the most balanced team in the league, finishing third in total offense and third in total defense. Five of their 10 wins came against teams finishing over .500. 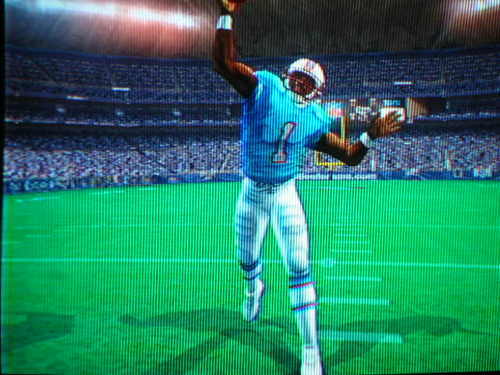 Even when Warren Moon had the bad fortune to suffer a concussion that led to backup Cody Carlson replacing him for five of the final six games, the offense still shined, with Haywood Jeffires and Ernest Givins leading the AFC in receptions and receiving TDs, respectively. Few people remember that one week prior to “the comeback,” the Oilers stomped all over the Bills in the season finale, 27-3. But the real bad luck, other than the Moon injury and Frank Reich, was five of the Oilers’ six losses coming by a touchdown or less. Two of those losses were to Pittsburgh, giving the Steelers the AFC Central crown, a first-round bye, and homefield advantage through the playoffs – all of which was squandered when the Steelers were demolished by the Frank Reich and Company 24-3 in the divisional round. In addition, they had the toughest schedule of any AFC playoff team, and the fourth-hardest schedule of any AFC team. Houston would have one more great season (1993, when they finished 12-4) but the franchise would not win another playoff game until this happened in a game against . . .
Buffalo fans have good reason to feel they have been continually cursed: Scott Norwood, Frank Wycheck, Vincent Gallo, the curse of O.J. Simpson. In fact, this article could have been titled “The Top Ten Unluckiest Buffalo Bills Seasons.” It may seem like a strange choice to select a Bills team which had no real playoff expectations and was clearly outmatched for the majority of the season (they were outscored by 142 points over the regular season). But maybe it’s because of how recent and visceral the pain of this season was for Buffalo fans (and fans of unlucky franchises in general). According to standard metrics, the 2010 Buffalo Bills had the toughest regular season schedule of any team in NFL history, measuring at a ridiculous + 4.3. The combined record of their opponents was 136-108 (.557 winning percentage). 12 of their opponents won seven games or more, and nine of them made the playoffs. Still somehow, the Bills played their opponents competitively, losing by only 8 to 14-win New England in Foxboro, 3 to the 11-win Bears, and 5 to the Dolphins. They tied an NFL record by losing three overtime games in single season, the most heartbreaking of which was the infamous Stevie Johnson end zone drop (WARNING: DISTURBING VIDEO CONTENT) that would have given them a victory over the Steelers. 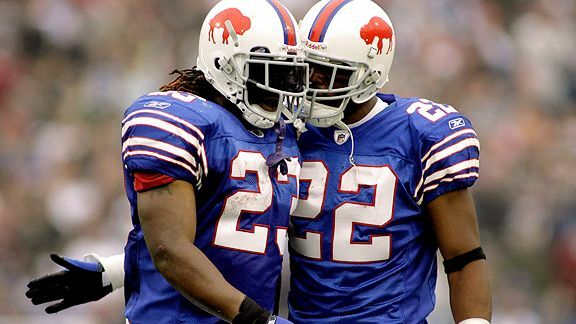 On paper, they were absolutely solid, with Ryan Fitzpatrick throwing for 23 TDs (against 15 interceptions) and a backfield that began the year with Fred Jackson, Marshawn Lynch, and CJ Spiller (somehow, they finished with a league-worst 6 rushing TDs). Look, no one is saying the 2010 Bills would have won the Super Bowl, but if you gave them the schedule of the ’10 Chiefs (one playoff opponent, a strength of schedule of -3.2), they could have probably mustered four wins in the first month of the season. You knew this team had to make the list, and not just because of my allegiance to this franchise. It’s actually hard to call the 2008 unlucky because, in so many ways, they overperformed. After Tom Brady’s season-ending ACL injury in the first quarter of the first game, New England asked a QB who hadn’t taken a snap in a game since high school to lead the league’s best passing attack the year before. They dealt with all the baggage that came with blowing the undefeated season in the last minute of Super Bowl 42 (along with residual post-Spygate scorn from the teams which played them). The Pats’ three leading rushers were Sammy Morris, Kevin Faulk, and LaMont Jordan, and yet somehow they finished with the NFL’s sixth-best rushing offense. In spite of season-ending injuries to Adalius Thomas, Rodney Harrison, Junior Seau, Laurence Maroney, and Benjamin Watson, New England finished in the top ten in both defense and offense. They became the second team in NFL history (and the first since the league adopted the 12-team playoff format) to win 11 games and miss the postseason. It wasn’t a late-season collapse, either – the Pats were the league’s best team in December, going 4-0 and outscoring opponents by a combined score of 133-54. They certainly played better than the AFC East champ, the Dolphins, who went from 1-15 in 2007 to 11-5 in 2008 and won the division on the fourth tiebreaker (they also squeaked by on eight victories by a touchdown or less). In the AFC West, the Chargers won the division with eight victories, and the nine-win Cardinals – a team the Patriots beat by 40 in Week 16 – almost won the Super Bowl. No disrespect to Matt Cassel, but the 2008 Patriots may have been a fluke Bernard Pollard hit away from being another championship team. Not the last time that sentence would be muttered. I would love to watch a prequel to Silver Linings Playbook where Robert De Niro and young Bradley Cooper have to endure the Eagles’ unremitting 1991 season. Like the ’08 Patriots, it wasn’t unlucky because they lost close games (actually, they were pretty good in close games). It wasn’t because they had the league’s toughest schedule either, although it was certainly no luxury playing in the same division as the defending champs (the Giants), the eventual 1991 champs (the Redskins), and the two champions after that (the Cowboys). The 1991 Eagles were unlucky because, like the 2008 Patriots, their star QB Randall Cunningham was injured in the first half of their first game of the season. In losing Cunningham, Philadelphia not only lost a quarterback coming off his best statistical season (30 TDs, 13 INTs in 1990) and in the prime of his career (age 28), but they also lost their best rusher (Cunningham had led the Eagles in rushing for four straight seasons). So in spite of jugging Jim McMahon, Jeff Kemp, and Brad Goebel at QB, not having a 500-yard rusher, and being coached by Rich Kotite, the Eagles managed to win 10 games. How? Because they had arguably the greatest defense of all time. 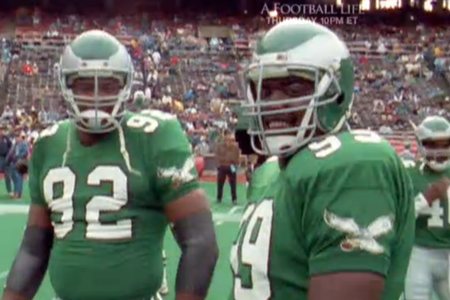 Spearheaded by all-pro defensive ends Reggie White and Clyde Simmons, the defense posted five pro bowlers, including Eric Allen, Jerome Brown, and Seth Joyner. Consider all the categories the Philadelphia defense was ranked #1 in: Total yards allowed, passing yards allowed, rushing yards allowed, sacks, turnovers forced, fumbles forced, first downs allowed, rushing touchdowns, and rush yards per play. That they only finished fifth in points allowed is rather remarkable. They didn’t allow a 300-yard passer, and only allowed four 200-yard QBs. In fact, they only allowed one opponent (the Redskins) to gain over 300 yards in a game – a feat that has since only been matched by the Super Bowl Champion Steelers in 2008. Philadelphia was one of only two teams to beat Washington, and they also defeated the Oilers, Cowboys, and swept the defending champion Giants. The defensive trio of White, Allen, and Simmons would come back for one more season (Jerome Brown tragically died in the offseason) but by that point, the Cowboys had fully taken the reins of the NFC. The problem for the Eagles was that they always found themselves peaking when their NFC foes were slightly better, and until Andy Reid arrived in 1999, they lacked stable coaching. They still haven’t won a Super Bowl. Now maybe if they found a position for Harvey Weinstein in their front office . . . Thoughts? Disagreements? Seahawks fans still upset about bad luck officiating in Super Bowl 40? Let me know below. Cate Shortland’s Lore offers a portrait of Nazi Germany rarely seen in mainstream films: Told from the point of view of a 14-year-old daughter of a Third Reich official, the film shows the horrific waning days of World War II from the purview of the defeated. We see a man who has shot himself. A woman cries to a picture of Hitler, “We broke his heart! He loved us so much.” Dead bodies populate the countryside as the girl and her younger siblings journey to reunite themselves with their family. This naturally begs the question of whether any movie can really be made about the plight of (relatively) innocent Nazi children without apologizing for the atrocities of the Third Reich, even if unintentionally. This is one of the many fascinating, unsettling, and ultimately unsolved questions that make Lore a compelling motion picture and one of the best early movies of 2013. The film stars Saskia Rosendahl in a mesmerizing performance as Lore, the oldest of five children, who is told by her mother to seek refuge at a distant relative’s house while she and her father enter a prison camp. Thus, Lore, her younger sister, her twin brothers, and a newborn are forced to make their way across Germany peddling whatever jewelry and scrap goods they can find for food and shelter. On one level, Lore is a fairly conventional survival story emphasizing sacrifice and endurance. Along the journey, Lore learns to adapt to whatever precarious situation she finds herself in, all while trying to maintain her dignity. At one point, she cajoles a woman into breastfeeding the baby (demanding that she clean herself beforehand) and at another point, she uses her burgeoning sexuality to entice a boorish man to take the family across a river. But all these situations would be even more conventional for the audience were it not for the fact that, like much of defeated Germany in 1945, Lore continually refuses to accept the defeat of the Third Reich. She hides her brothers and sister from Allied troops, and keeps in her pocket a picture of her decorated father. We cannot help but wonder if all the sacrifice and endurance she gains, however admirable, is not simply borne out of a stubborn refusal to accept defeat. But, in Lore’s defense, maybe the answer has more to do with the misguided fears and rumors she has heard of what American officials will do if they find fleeing Nazis. One question I found myself asking during Lore was at what age do children simply regurgitate the beliefs their parents have instilled, and at what age do they become responsible for their own beliefs. This question becomes key in the movie when another major character is introduced: Thomas, a young man who follows the siblings and occasionally aids them out of perilous circumstances. (MILD SPOILERS AHEAD) Lore is initially suspicious of Thomas, and her worst fears are realized when she finds out Thomas is a Jew, and a survivor at Buchenwald. This is the point where Lore differentiates itself from lesser, more obvious approaches to similar subject matter. Instead of overcoming her bigotry, Lore continually treats Thomas as an inferior being, and this even extends to hints of a latent sexual relationship between the two. The movie ingeniously connects political and sexual awakening, but only in the subtle, vague ways two teenagers could possibly experience such awakenings. Like the ambiguous relationship between the white girl and the Aborigine in Walkabout, their bond is defined by the prejudices the two hold about each other and the power dynamics that seem to shift throughout their tryst. Do either Lore or Thomas ever have genuine feelings for one another? Or are they simply using each other for survival? We never really know the answer, which reflects the filmmaker’s reticence to offer the audience too much emotional linkage with any of the characters. If Lore was a novel, it would be told in omniscient third person. Does Lore really change her beliefs over the course of the film? There’s certainly no emotional climax as in Schindler’s List where she asks aloud what more she could have done to save the Jews. The reality is that for a 14-year-old, such feelings and their ideological transformations are ambivalent and hard to pinpoint, which is what I loved about Lore. This is not to demean Schindler’s List, but it’s not hard to root for a man who saved 1,500 Polish Jews. It should not be hard to root for a brave teenager girl saving her family from capture, starvation and death, but that is precisely the provocative quandary in Lore. There are numerous times we cannot root for her. It is uncompromising – even at the end of the journey, when we expect (and hope) that Lore has learned something from her survival and experiences with Thomas, we get no clear answer. There is only one criticism of the film, which is that the director, Cate Shortland, indulges too greatly in common art house aesthetic foibles. There are long passages of the film in complete silence and minimal camera movement, which seem oddly disparate from other, more effective scenes using shaky-cam to reinforce the immediacy of Lore’s displacement and fear. I don’t think it was Shortland’s intention to make a meditative art film, but on the other hand, I cannot entirely condemn her strategy because it is effective at showing us Lore’s innermost alienation. There are no bombs, tanks or soldiers here, and there is only one scene of gunfire (shown offscreen). The silence reinforces the fact that Lore and her family have, like many, been abandoned and forgotten in the midst of international political and military chaos. And while I wanted to criticize those long, seemingly out-of-place sequences, it is somewhat hypocritical for me to do so in a film so upfront with being uncompromising. There are rarely any satisfying conclusions we can have about the existential problem of the Holocaust, even 70 years later. Is not appropriate that its cinematic interpretations come with aesthetic lapses and inconsistencies? Lore belongs on a shortlist of films from the past few decades which probe questions about the actions of youth during the Holocaust (other such films include The Dirty Girl, Europa Europa, Fatelessness, and, to a lesser extent, The Reader). I was reminded of the Primo Levi quote that more dangerous than true monsters are “the functionaries ready to believe and act without asking questions.” In the case of Lore, the war has (thankfully) passed and she will ultimately be forced to enter a world in which Nazism has died a horrific death, along with the countless Jews and resistance fighters that suffered because of it. In many ways, the film is about Lore and Thomas coming to terms with the demise of their respective peoples, and how reconciliation is imperfectly achieved through rising social consciousness. For my 3000th career movie, I chose the aptly named Chasing 3000, an entertaining family movie about two huge baseball fans traveling across country to see their favorite baseball player get his 3000th career hit. That player is Roberto Clemente. The year was 1972. Like almost all corny sports movies, it is told via flashback. Mickey (Ray Liotta) is driving his two kids to a Pittsburgh Pirates game in present day for Roberto Clemente Day. He gets pulled over by a cop, who gives a tearful recollection of Clemente and of course lets him off with a warning. This causes Mickey to begin telling his own story of Clemente’s 3000th hit to his kids. “Not another ‘70s story!” He talks about him (Trevor Morgan) and his younger brother Roger (Rory Culkin), who has MD and severe bronchitis, and how they had to move out of the paradise of Pittsburgh to horrible California. Their father runs out on the family. Young Mickey plays high school baseball, while Roger watches and “plays through Mickey”. Mickey starts to struggle at the plate and longs to be back in the ‘Burgh. 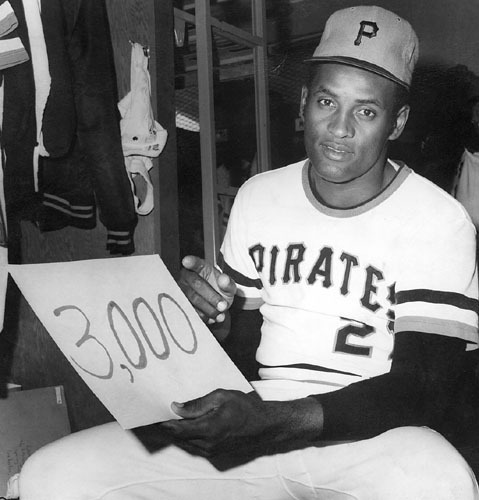 As their favorite player and living legend Roberto Clemente closes in on his 3000th hit, he decides to skip out on his baseball team and family to travel 2468 miles (to be exact!) to Pittsburgh to catch his milestone hit. Roger, after overhearing some discouraging news about his health, convinces Mickey to let him tag along as a last hurray. It is their cross-country journey that is the meat of this family movie. Gregory J. Lanesey directed and co-wrote this movie based on true events. I say “based on” because there are serious logic issues that make me wonder how much actually happened. For example, it is the middle of his high school baseball season, but it was September when Clemente got his big hit. Hm… The movie is competently put together, though. It does its best to not offend anyone, seeing as how it is a PG movie. Naturally, the characters talk like they are in a ‘50s TV show. “Shut up, you lame-wad!” “Buzz off, jerk-weed!” It is constantly trying to be tear-jerking and politically correct. The disabled character is basically a baseball genius. There are tearful checkpoints throughout the movie in which people give speeches about family or baseball. It is essentially as indulgent in its story in as Game 6, but nowhere near as interesting. The corniness piles up as the movie draws toward its end. They say exactly 2468 miles, but we hear Mickey say “We came 3000 miles for this?” Ah I see…symbolism. Just like Mickey and Roger being the names of the brothers. Yeah, nice subtlety there. If only this movie could have been as great as *61. The movie comes off as some sort of family baseball movie version of Offside or something. Not only to Mickey and Roger run away from home, but they also hitchhike, jump a train, break out of a hospital, sleep in a barn and a church. They are fugitives, but they seem convinced that they aren’t. The movie makes that very clear. In the end, the movie is satisfying enough. It never takes a risk and never really strays from its path. There is no wonder why this movie was stuck in post production forever looking for a release. It does everything to try to be the next classic baseball movie, but instead it just falls flat. There are some good sequences and the performances by Culkin and Morgan are strong, but they use so many baseball movie clichés. They make Roberto Clemente out to be the Pope or something. They are risking everything, including Roger’s life, to maybe make it to Pittsburgh to see one hit. Clearly they knew Clemente would never get another hit in his career, right? Seeing a piece of baseball history is worth everything, right? Pittsburgh thunderstorms are better than California sunshine, right? Baseball is life, right? Chasing 3000 is right in the middle for me. It is not the worst sports movie I have seen. I could have chosen a sure-fire movie for Film #3000, but I just couldn’t resist something with such a perfect title (it’s a good thing I had already seen the dreadful Mr. 3000). If you like baseball and corny road trip movies, then this movie is certainly for you. Despite all of the deficiencies the movie has, it is still good enough to warrant a glance. If you manage your expectations, this could turn into something decent. 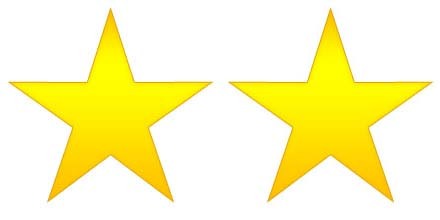 For me, it is just another 2 star film to add to the scrapbook. Here’s to getting to #4000!